The quiz keeps popping up but is not found after I click start. It should make sure there is a quiz before promoting. Hi, Sorry for the inconvenience. May we have the screenshot of this issue? Did you manage to uninstall and re-install the application? Please keep us posted on the latest progress for further help. Thank you for the support. This is the pop up. Hi there, thanks for the screenshot, may I have the model of your mobile device? Is it the iOS or Android? What is the current APP version? 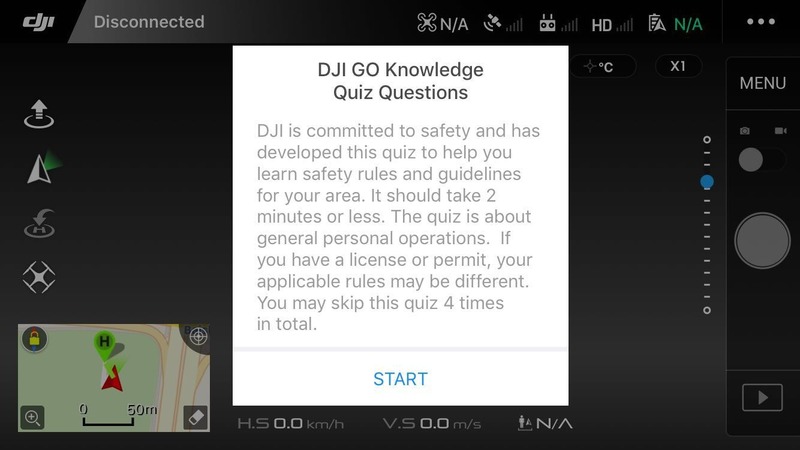 We will also need the SN of the flight controller which can be found in the APP-About and your DJI account, please send it via PM, thank you. This is a common problem. 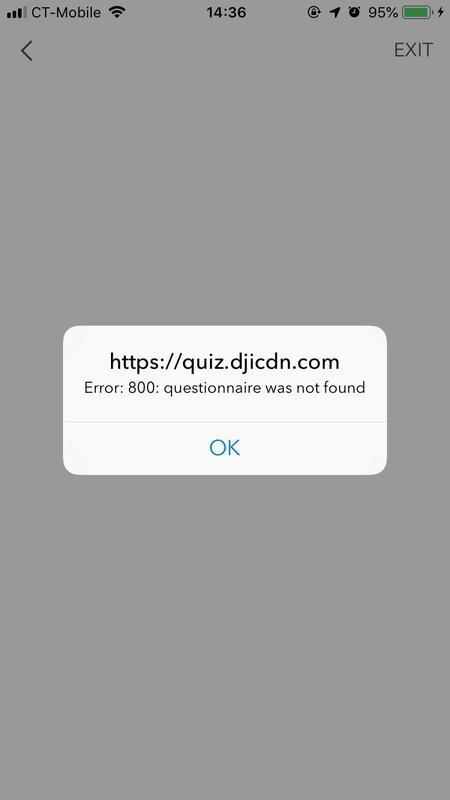 Just get rid of the quiz since it is useless. An easier method would be have an online quiz where you can take it and then have it update when you fly. Or better yet just remove the quiz. You could have people put in their license number as well. Just do not screw it up. Is this the new idea to "Educate" pilots lol? I don&apos;t think I&apos;ve ever seen that screen come up before.